The word ‘Zeopard’ is the creation of Jennie Vickers, as a metaphor for the innovation that occurs by creating something new from a combination of two existing things. The Zeopard captures all the best features and survival and flourish traits of both a Zebra and a Leopard. The Zeopard approach is to constantly consider whether there is a different or better way to do things, while achieving superior results. Why a combo of the Zebra and the Leopard? The Zebra is a team and family focused pack animal. It survives by working as part of an effective team. 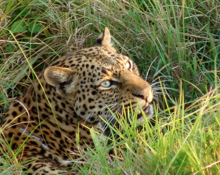 In contrast, the Leopard is a solitary animal that has speed and stealth – it gets what it wants on its own. Sometimes the Zebra is more effective in getting results than the Leopard and sometimes it is vice-versa. A Zeopard combines the best of both these worlds by realising that to survive in the 21st century we all need to be adaptable, to operate in different modes and to be prepared to do things differently, embracing and emulating the survival skills of others. Because life is not always black and white. Zebras (which are found only in Africa) are famous for their stripes. Each zebra is unique, with no two zebras sharing the same pattern. Zebras make use of their unique stripes – they are both pretty and practical. As soon as a foal is born, it sets about memorising its mother’s stripes so it can distinguish her from others in the herd. 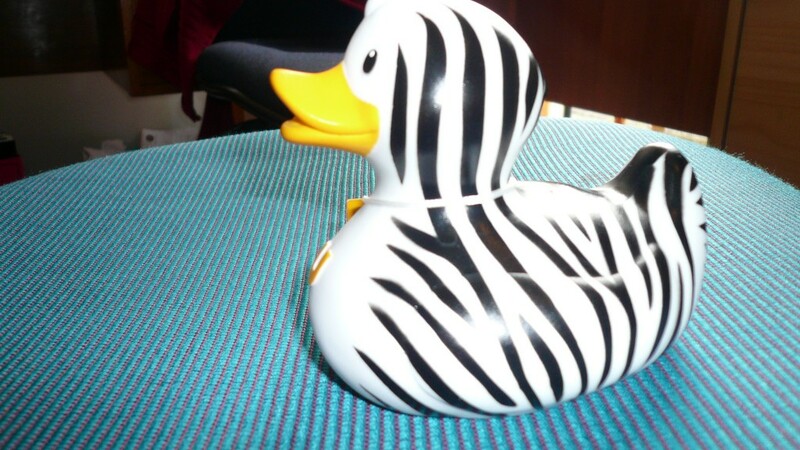 The black and white stripes are a form of protection. In the distance the stripes are easily mistaken for heat waves rising up from the hot savannah. Up close, the blur of stripes is very confusing, making it difficult for a predator to focus on a single zebra in a fast moving herd. You’re anything but!” “So, on beyond Zebra! In Jennie’s 25 years in business she has seen what happens when professionals like lawyers begin to think that they do know all there is to be known and close their minds to seeing a fresh perspective or to trying something different. One day not so long ago, Jennie looked at X-rays of her teeth with the dentist and commented how some teeth look like toes. The dentist said that a 7 year old girl had made the same observation earlier that week. To Jennie that was the best compliment she had heard for ages. To see things with the same imagination and fresh perspectives as a seven year old really matters for an innovative mindset. 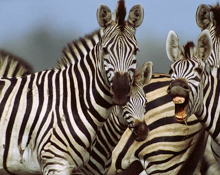 Zebras are social animals. They generally like to live in family herds of between 5-15. Sometimes huge herds of several hundred zebras can be seen intermingling on the savannah with ostrich, gazelles and giraffes. Mixing with other species provides extra company and protection. Being part of a zebra group has many advantages – a group has more ears, eyes and noses on the lookout. There are several species of zebra. The Quagga is already extinct, while Burchell’s Zebra and the Mountain Zebra have become endangered. On top of being the favorite food of lions, during the last century zebra were hunted for meat and pleasure. Zebra may seem like obvious prey for many animals, but they do have a few tricks up their sleeves. In addition to the protection offered by their stripes, zebras have a very keen sense of smell. Zebras are cautious animals, and always appear nervous and on edge (especially when at a drinking hole) – constantly on the watch for lurking lions. San Diego Zoo’s website has lots of info and a great video of a young zebra joining the herd. Originally leopards (otherwise known as panthers) were thought to be a cross between a lion and a non-existent, spotted creature called a Pard – giving rise to the ancient word ‘leopard’. 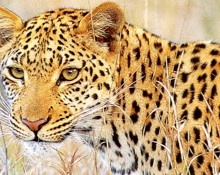 Leopards include all the spotted reddish-yellow animals that live in Africa, the Far East to the tip of the Malay Islands and come in varying forms: Snow Leopard, Black Panther, Siberian and Clouded Leopard. 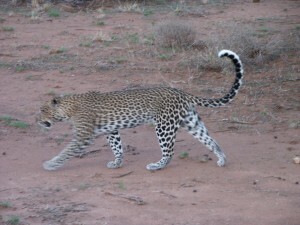 Leopards have a unique pattern of blackish-brown rosettes which cover the upper limbs, and solid spots on the face and back limbs. The largest grow to nearly 1.5m in length with tails that sweep out an extra 90cm. Interestingly, a giraffe’s scientific name means the last walking camel-leopard. 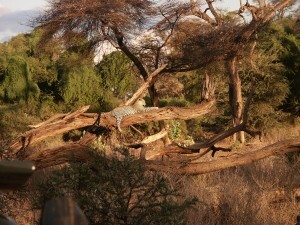 “Can the Ethiopian change his skin or the leopard his spots? 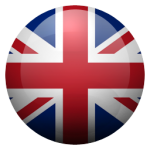 Then may ye also do good that are accustomed to evil”. It would seem clear that it was a given that both the Leopard and the Egyptian could change character behavior and appearance. Seems amazing that somehow this has morphed to have an opposite meaning. This realization really resonated with us because of the principle that Zeopards can change and adapt to circumstances and times as needed. In the Rudyard Kipling Just So story near the end it says …… “Then the Ethiopian put his five fingers close together (there was plenty of black left on his new skin still) and pressed them all over the Leopard, and wherever the five fingers touched they left five little black marks, all close together.” Click here to link to a podcast of the story and click here to read their pdf of the story How the leopard got his spots. 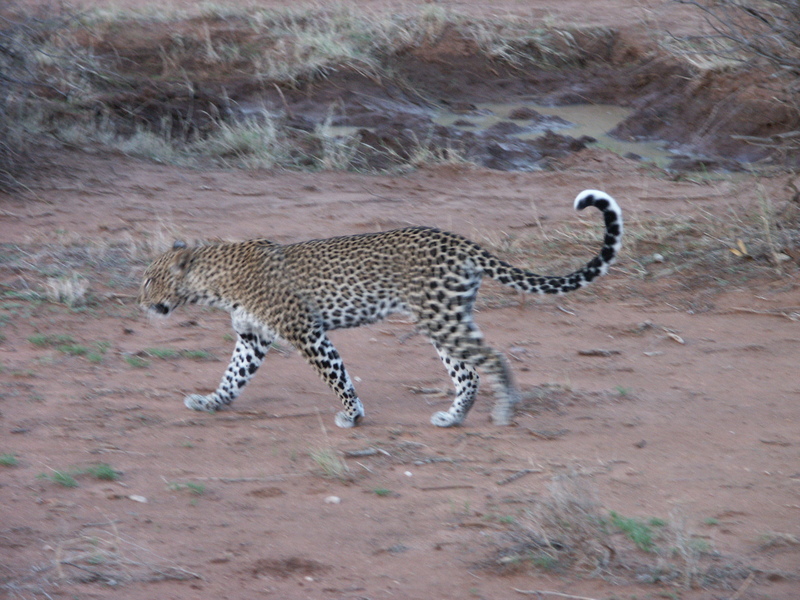 Leopards are nocturnal animals and are solitary by nature. 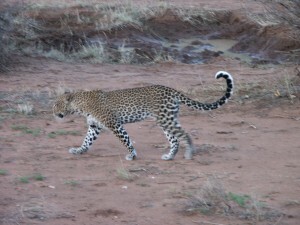 Male and female leopards usually only come together to mate. Female leopards, who can give birth to up to six cubs, raise their offspring alone. 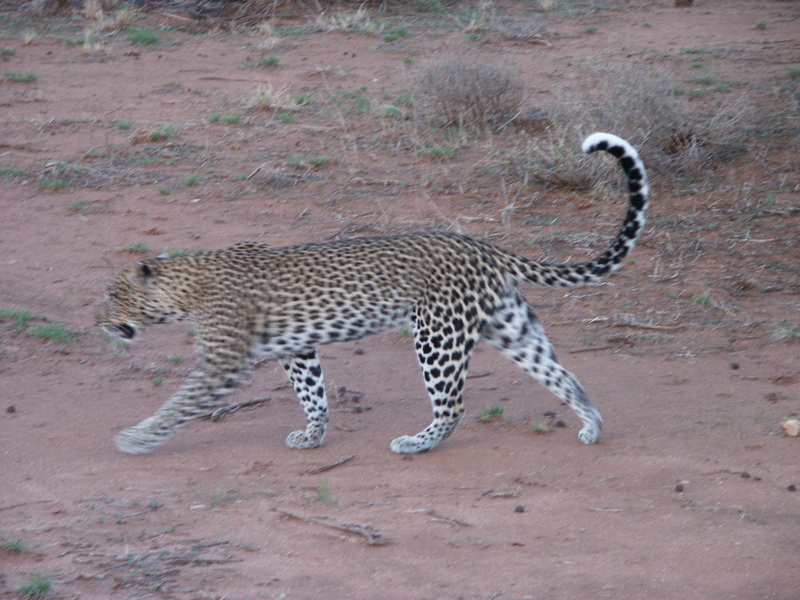 The young leopards are fully weened in 3 months, but will stay with the mother for up to two years. 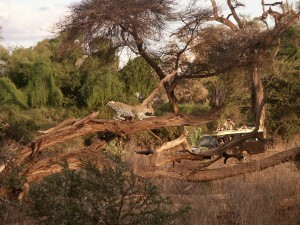 Largely carnivorous, leopards are opportunistic feeders, stalking or laying in ambush for small to medium sized prey. They have strong teeth and jaws that can crunch through thick bones. Zebras are a favourite meal, but as you can see above the zebras often have other ideas! 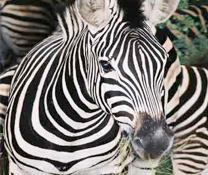 Auckland Zoo website, Zigby Dives In by Brian Paterson and How the Zebra Got Its Stripes by Justine and Ron Fontes.